IntLawGrrls: Why come to the ASIL Midyear Meeting? Atlanta. Why come to the ASIL Midyear Meeting? Atlanta. ► An early post gave details about keynote speakers – Patricia O'Brien, Under-Secretary for Legal Affairs and U.N. Legal Counsel, and Harold Hongju Koh, Legal Adviser, U.S. Department of State – as well as a blue-ribbon panel of international arbitration experts, a career mentoring event, and the scores of Research Forum presenters from around the world. You can see the updated schedule, and register, at the Midyear Meeting website. ► A more recent post sang the praises of Athens, hometown to the University of Georgia School of Law, which will host the latter 2 days of the Midyear Meeting. 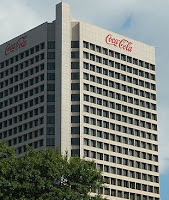 Today's post tells of the other host city, Atlanta. Center of the country's 9th largest metropolitan area, with more than 5 million residents, Atlanta's also a center of business and culture in the American Southeast. Its transportation hub, Hartsfield-Jackson Atlanta International, has long been the country's busiest airport. There's much to do in this city. 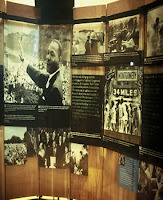 This 'Grrl found most moving her visit to the Martin Luther King, Jr. National Historical Site. In addition to exhibits like that at left, the site features the civil rights leader's birth home and the Ebenezer Baptist Church, from which Dr. King delivered some of his powerful sermons. 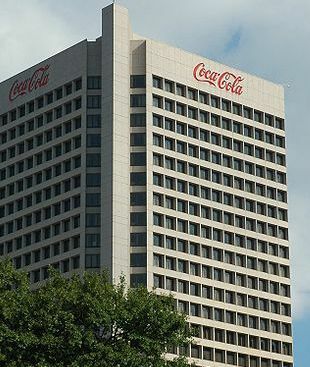 On the lighter side, there's downtown's world-class Georgia Aquarium (above right), and close by, the World of Coca-Cola museum/funpark in downtown Atlanta. Atlanta is home to numerous educational institutions. ASIL Academic Partner Emory University School of Law is one of them. At our Midyear Meeting conference dinner in Athens on October 20, we'll be paying tribute to Emory Law Professor David Bederman (right), the American Journal of International Law editor and U.S. Supreme Court advocate who passed away last year at age 50. Atlanta's John Marshall Law School is also a meeting sponsor, as are the Atlanta International Arbitration Society, the Association of Corporate Counsel-Georgia, the International Law Section of the State Bar of Georgia, and the Atlanta-officed firms of Arnall Golden & Gregory, King & Spalding, Sutherland Asbill & Brennan, Thompson Hine, and Troutman & Sanders. This Midyear Meeting kickoff event is geared for students and new professionals interested in learning more about various international law career paths and interacting with experienced public and private international legal professionals in a "speed-mentoring" format. Speaking on recent developments, and on real-world case studies of arbitration’s success and failure, will be: Midyear Meeting Host Committee member Valerie Strong Sanders (left), Counsel, Sutherland Asbill & Brennan Litigation Practice Group, Atlanta; Jack Goldsmith, Henry J. Shattuck Professor at Harvard Law School and former U.S. Assistant Attorney General; Gary Born, Partner and Chair, International Arbitration Practice Group, Wilmer Cutler Pickering Hale & Dorr, Washington, D.C.; ASIL Immediate Past President David D. Caron, C. William Maxeiner Distinguished Professor of Law, University of California, Berkeley; ASIL President Donald Francis Donovan, Partner at Debevoise & Plimpton in New York; and Midyear Meeting Host Committee member Brian A. White, Partner at King & Spalding in Atlanta. 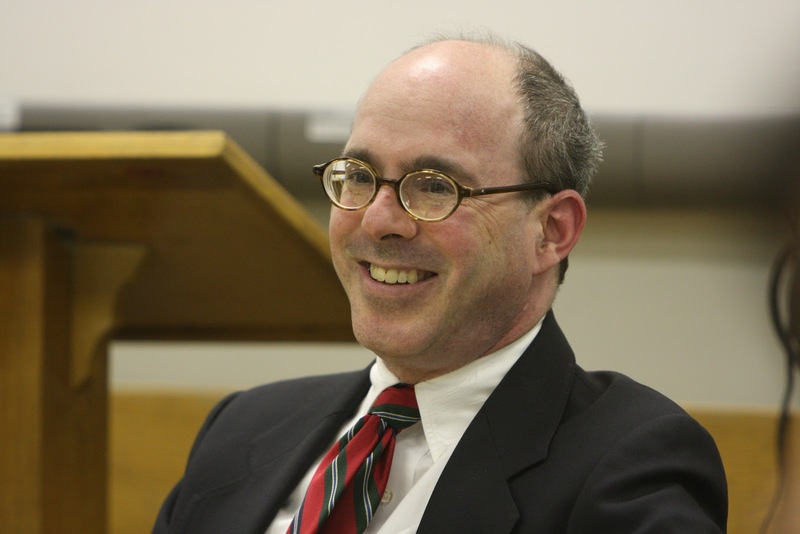 Moderator will be Midyear Meeting Host Committee member Glenn P. Hendrix, Partner at Arnall Golden & Gregory in Atlanta. Attendees will be eligible for 1.5 to 2 MCLE credits in California, Florida, Georgia, Illinois, New York, Pennsylvania, and Virginia, as detailed here. Register for the Midyear Meeting here. Hope to see you soon! Labels: American Society of International Law, David Caron, DMA, Donald Donovan, Georgia, Martin Luther King Jr.